It started with my first job. I was walking down Soho’s Berwick Street, which still had a busy, thriving street market back then, and lots of local residents (yes, young people visiting London, there wasn’t a Japanese bubble tea bar in sight). One of the stalls sold science fiction paperbacks and comics, and I became a regular customer. Soon after, they got themselves a little shop on the street, and named it, with dipsy hippyish charm, ‘Dark They Were And Golden Eyed’. 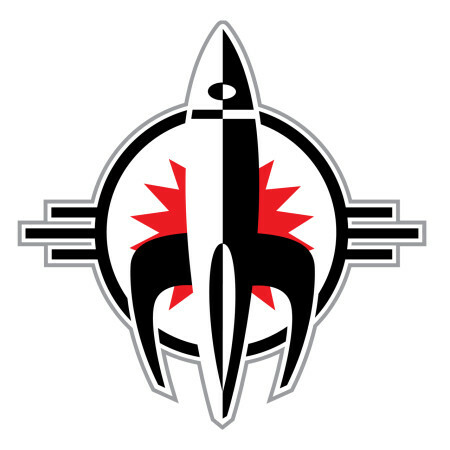 I think Stan Nichols worked there, and maybe his mum, and a bunch of passing hairies who sat around reading comics. During the 1970s it was the largest of its kind in Europe, specialising in SF, fantasy and US comics. It also sold American books that were not easily obtained anywhere else The shop was named after Ray Bradbury’s short story. 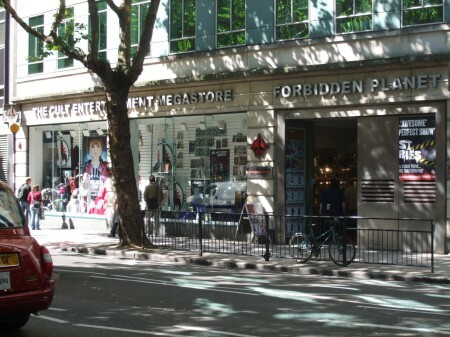 It expanded, moved to St Anne’s Court, went bust in 1981, was reborn by some of the same people as Forbidden Planet in Denmark Street, moved to New Oxford Street, opened other branches, expanded again. Most of the crazy old hippies died or went mad, although I’m still friends with a couple. Through it all I remained a devoted customer. I gave them my entire collection of super-rare US underground comix when I moved to Hollywood because I just liked them. Good karma comes around. They’ve been good to me over the years, and now I’m back there again at 1:00pm this Saturday, signing copies of ‘The Bleeding Heart’ and other books. Come along, buy weird stuff and say hi! Couldn’t get to town today, good luck to those who get to your hidden books. But every intention of getting to FP this Saturday. Hope to meet you there. Bradbury was really a writer, wasn’t he? I love that line and most of his stories, too. It was my husband who introduced me, so another reason to keep the man. I hope to be there! Want anything brought to keep you going Admin? A coffee not from Starbucks? Don’t Forget This: It’s Out Now!